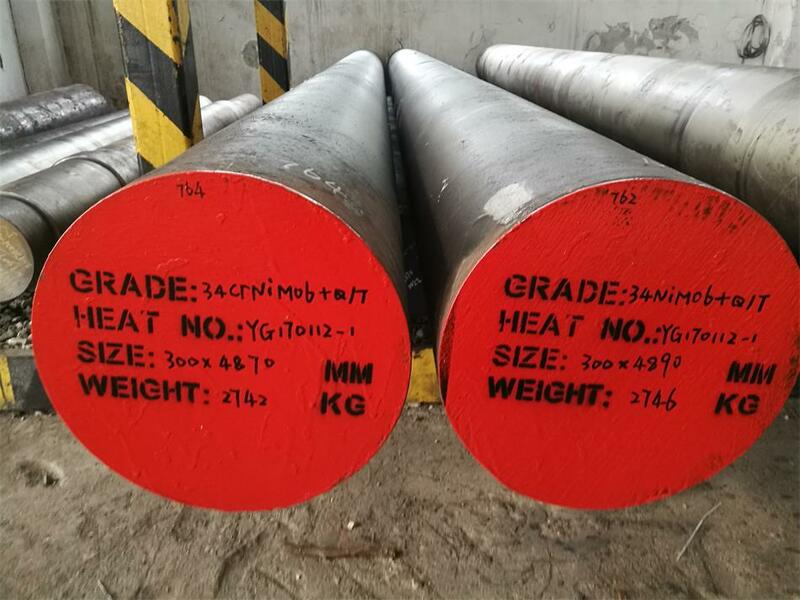 DIN1.6582/34CrNiMo6 steel is a heat treatable, low alloy steel,used for a wide range of engineering parts. It is capable of being heat treated to produce a typical tensile strength of 1000 -1200 N/mm² which combined with good ductility and resistance to shock. 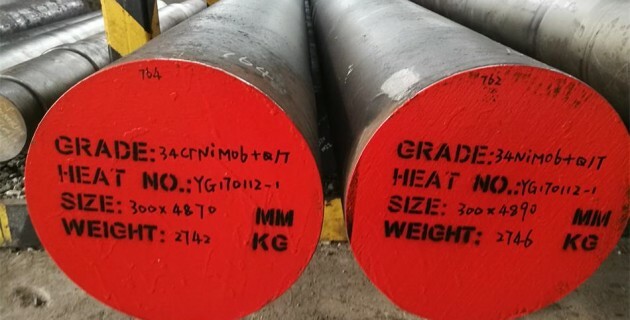 It also has good hardenability,enabling it to be used for medium tensile strengths in fairly large sections, and attain good wear resistance,good impact property at low temperatures.this material is readily machinable so that the components can be put into service without the cost of further treatment,and also can be supplied in the annealed condition which require hardening and tempering but give increased machinability.it is often supplied in the hardened and tempered condition with hardness 28-34HRC. Hot forging temperature: 900-1100℃,cool slowly in sand after forged. 34CrNiMo6 steel is used to make tools which demands good plasticity and high strength. Typical applications: Shafts, connection rod bolts, push rods, studs, pinion sleeves, mandrel ars for tube manufacturing, breech mechanism parts, high-duty engine connecting rods, high temperature bolts in oil refining and steam installations, various parts of machine tools such as spindle gears, power transmission gears, slide cams.